Renee leads a real estate team of licensed agents, bird dogs, and wholesalers and is responsible for negotiating home purchase as well as listing all our homes for sale. 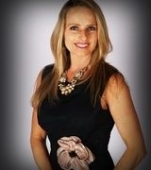 Renee is well known around Phoenix as the “weekend warrior” as most of our homes sell the first weekend. Scott leads the team of architects, contractors, and suppliers and is responsible for, construction budgets, design, supervision, and project management. Scott’s designs are never the same twice and our finished quality is unmatched at our price point.